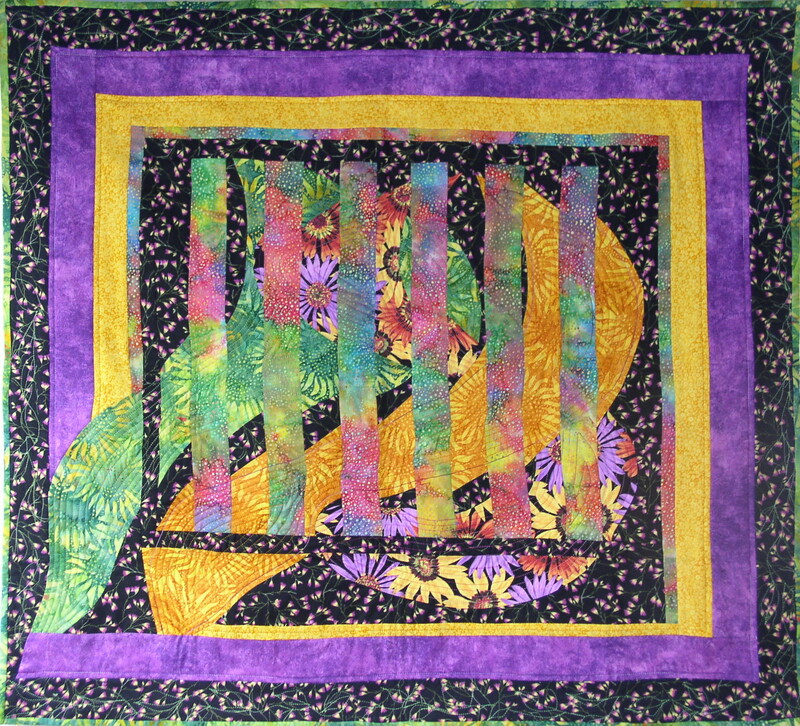 This is a variation of the convergence quilt technique with the addition of curves. It still incorporated shifting strips of bold, colorful fabrics but introduces a non-linear element against a dark background. 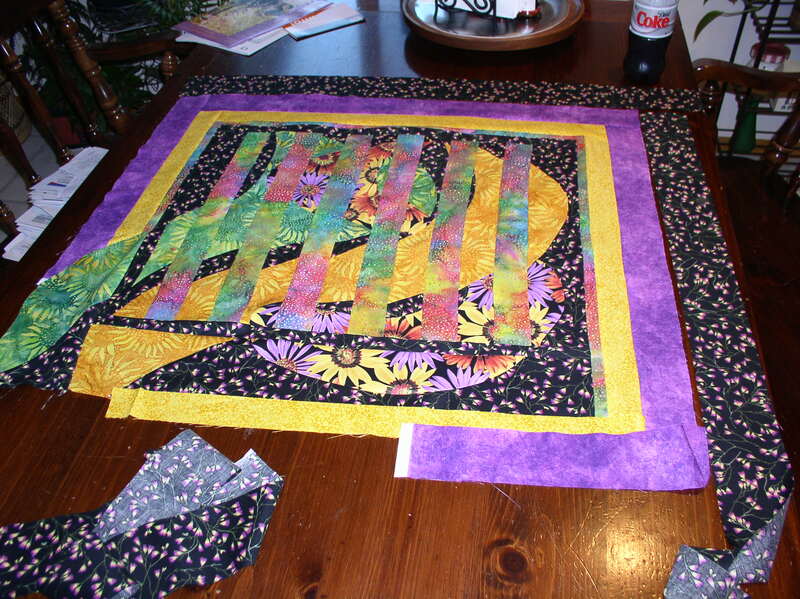 The curves were spilled out into the border area to continue the movement in the quilt. 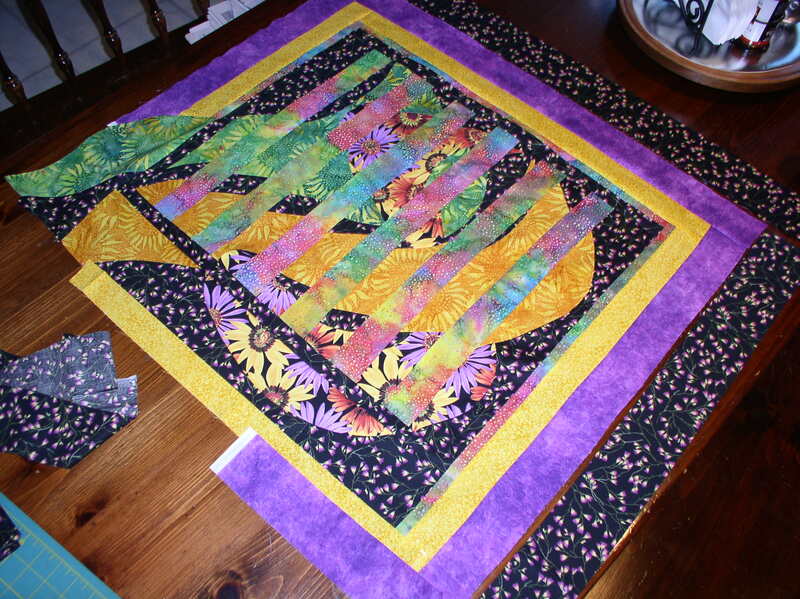 This was hand quilted with colored sulky threads and a rod pocket was added in the back for hanging. It measures 35″ x 32″. 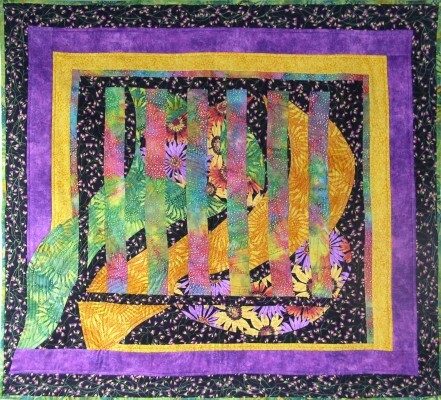 This quilt was donated to a silent auction for raising funds for a children’s cancer association.